If you’re an Android advance user, Like if you’re interested in Rooting, Flashing Custom Recoveries and Custom ROM’s, then you have to setup android environment on your PC, so that your Android device is able to properly communicate with your PC and you’re able to run different commands from your PC. Software Development Kit (Android SDK) is probably created by Google for developers for testing their Android Apps, But these days, if you’ve been looking for, Unlocking Bootloader, Rooting, Flashing Custom Recoveries or ROM’s, on your Android device, then most of the time Fastboot/ADB is the basic requirement before you do anything further to your device, It is therefore, essential to install Android SDK, Setup ADB and Fastboot on your windows PC so that you’re able to correctly and without any errors modify your Android device. Before we move on, How to Setup ADB and Fastboot on your Windows PC, I recommend you, to first read, about ADB and Fastboot, what actually do and why you need them to install it on your PC. Generally ADB stands for Android Debugging Bridge,Actually this is used by Android developers to test and debug their Applications. ADB comes with the Android SDK package, in simpler words it creates a communication bridge between your Android device and PC. 2. Now once you’ve completely downloaded the Android SDK Zip file. 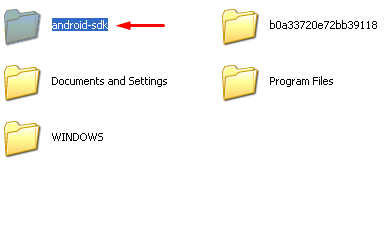 Extract it and in the ‘sdk folder‘ look for “platform-tools“, as we are only interested in ADB&Fastboot, and all the necessary files are contained within the ‘platform-tools’ folder. 3. You’re now supposed to copy the ‘platform-tools‘ folder and copy it to the root of your drive C, so that its location become like this C: \platform-tools. Here’s one thing more to remind you, it is recommended that, you rename the folder name to ‘android-sdk‘ instead of ‘platform-tools‘. 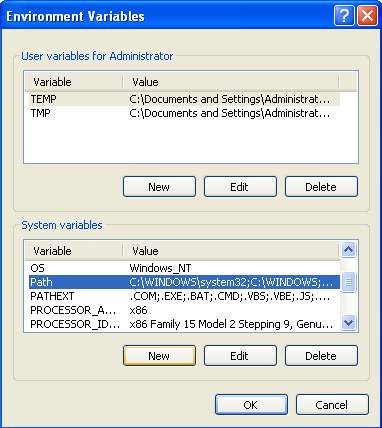 By now you’ve just setup ADB environment on your PC, and you can run it using the using the windows commands line by fully specifying its location but its a bit weird and annoying for most users, therefore you need to add the file location to ‘System Path Variables‘, so that you’re able to run adb commands from anywhere. 5. 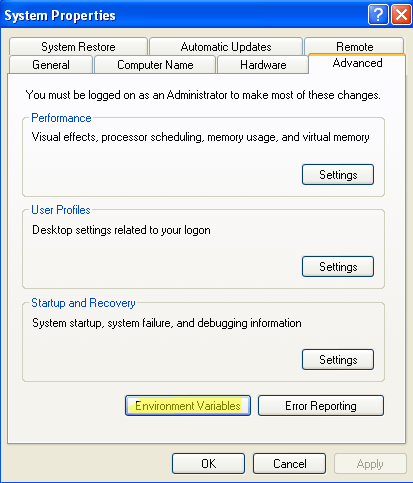 Now in the Advanced tab, at the bottom, Click on ‘Environment Variables‘. 6. Now in the system variables, look for the variable named as ‘Path‘, highlight and click on the edit button. It will then show you the connected device, which confirms you have done it successfully. When adding onto the Path portion, make sure it’s “sdk” – the example forgot to put the K on there. I had the same issue. If you still have the same issue, make sure all of the caps are the same? Dunno.